Doug Hajek remembers the squeeze banks were trying to cope with back in the late 1970s. The Sioux Falls banking lawyer and former banker says interest rates were ratcheting up into the double digits. "It continued on up until April, 1980, it was 20 percent. Mortgage rates were worse. There was no lending activity going on," says Hajek. Hajek says usury limits were causing banks to lose money. A usury limit is the maximum rate of interest a lender can charge. For example, if banks had to pay 20 percent interest to acquire funds, but could only charge 18 percent because of the state usury limit, they lost money on every loan. Hajek says a Sioux Falls banker proposed that state lawmakers scrap the limit all together. "It was not designed to attract anybody," says Hajek. "All we were trying to do is attract high interest rates to be able to loan money at a higher rate than the banks were paying for it. This was the solution, since we had no idea where [interest rates] were going to go," he says. Just over night our postal facility has to deal with million and millions of pieces of mail. Computer suppliers, office stores, furniture companies, paper companies, federal express. There was an unbelievable impact. Across the country in New York, giant Citibank was looking to move it's credit card operation out of New York City to end the financial bleeding caused by usury limits there. At the same time the U.S. Supreme Court issued a key ruling. The court decided that a national bank's credit card operation only had to worry about the usury limit in its home state. The limits in other states didn't apply. That meant a bank issuing credit cards nationally could end the problem of usury limits by relocating to a state without one. So when the South Dakota House of Representatives voted to eliminate the state's usury limit Citibank called then-Governor Bill Janklow. Times were tough in South Dakota, and not just for bankers. The governor had just proposed a five percent across the board cut in state government spending. Sioux Falls was a town dependent on agriculture and related industries. The John Morrell meatpacking plant was the city's largest employer, and it was struggling. In 1981, just seven new houses were built in Sioux Falls. Janklow helped push the usury limit bill through the Legislature and signed it into law. Citibank promised the creation of 400 new jobs. 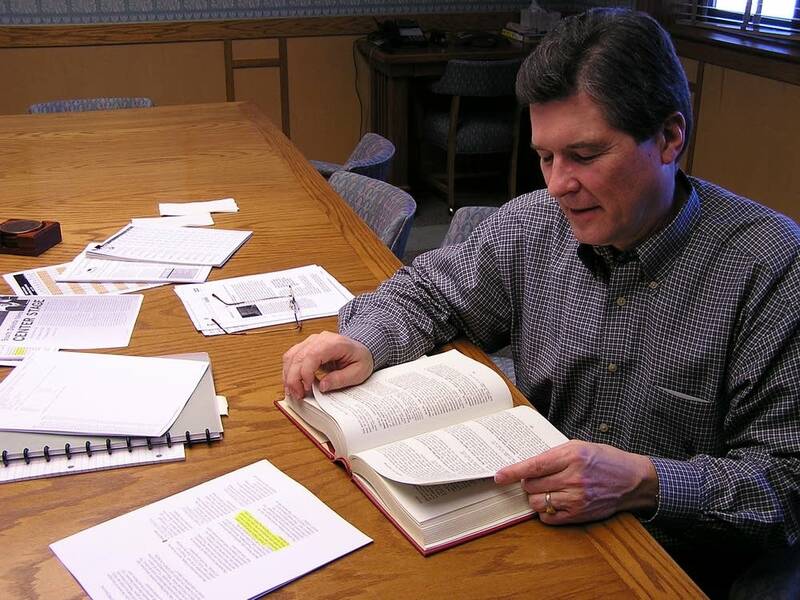 Ron Williamson was chief of staff in the governor's office at the time. Williamson later went to work for Citibank South Dakota and was the company's third President and CEO. He says the importance of Citibank's decision for South Dakota ranks up with the law granting South Dakota statehood. "Probably the biggest impact on anything in South Dakota is Citibank. At the time when Citibank came here we were having terrible difficulties relative to Morrell's. Inflation was terrible, farm prices were terrible, tourism was down," says Williamson. 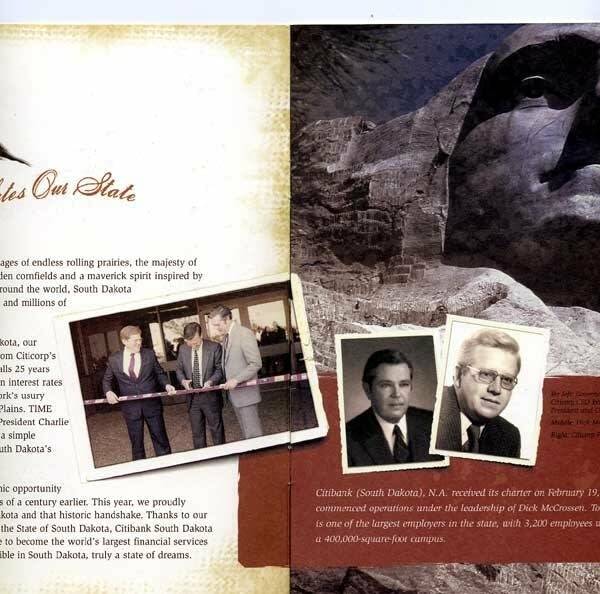 Citibank became a chartered bank in South Dakota February 19, 1981. 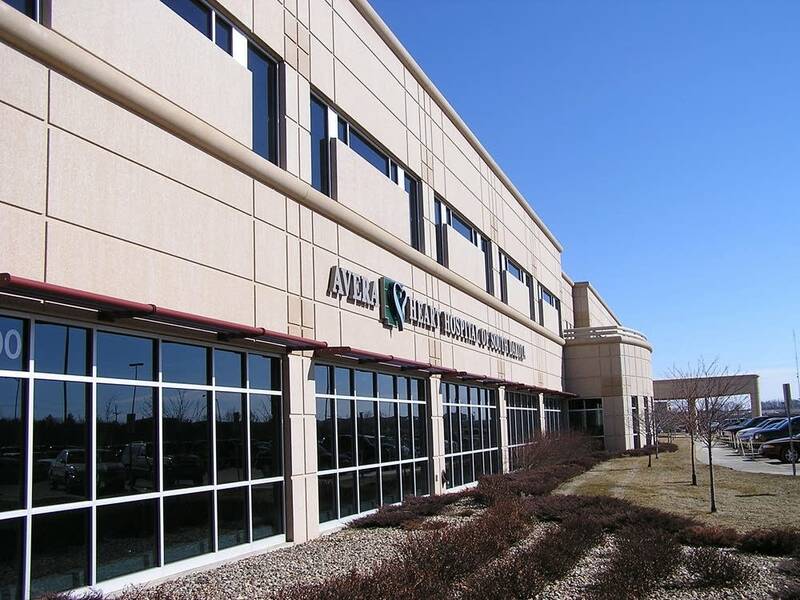 It built three large two-story buildings on the north end of Sioux Falls within the first three years. Now Citibank has more than 3,000 employees here. And dozens of companies fill the industrial park where Citibank once stood alone. Inside Citibank's campus large rooms are filled wall-to-wall with grey cubicles, where customer service representatives field calls from credit card customers. At first every part of Citibank's credit card operation, from making the plastic cards to processing the payments was in Sioux Falls. The operation quickly grew and Citibank relocated functions to 18 cities; each with its own area of expertise. Sioux Falls specializes in customer service. 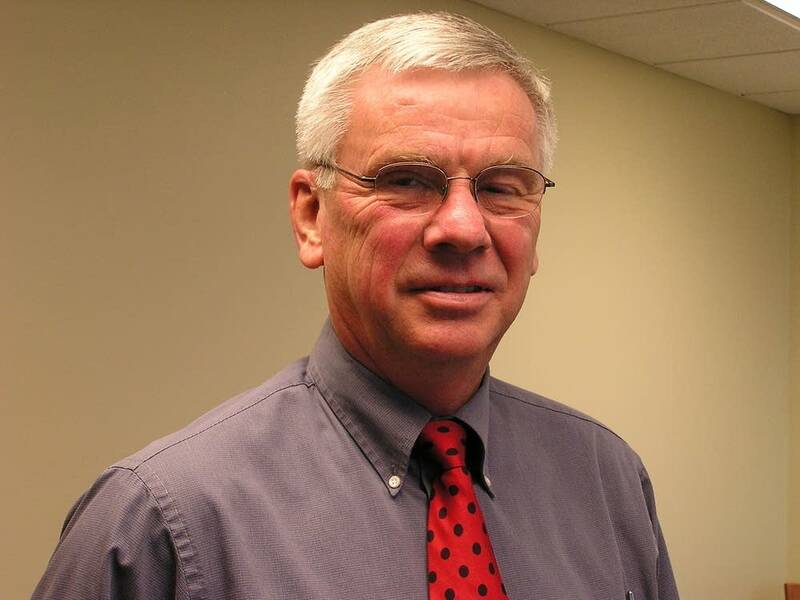 Jerry Nachtigal is the company's spokesman in Sioux Falls. 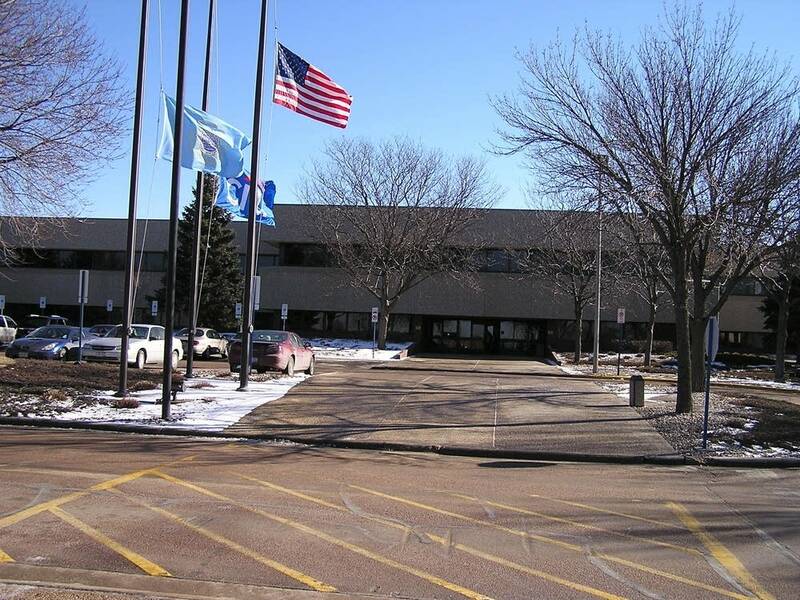 "I would guarantee you that the Citicorp folks did not know that their initial decision to come out here would lead to what we have here today: 3,200 employees, 118 million accounts on our books in South Dakota, $120 million annual payroll," says Nachtigal. "Nobody could have envisioned that we would have grown into what we are today," he says. Citibank gave city leaders a success story they used to invite other businesses. 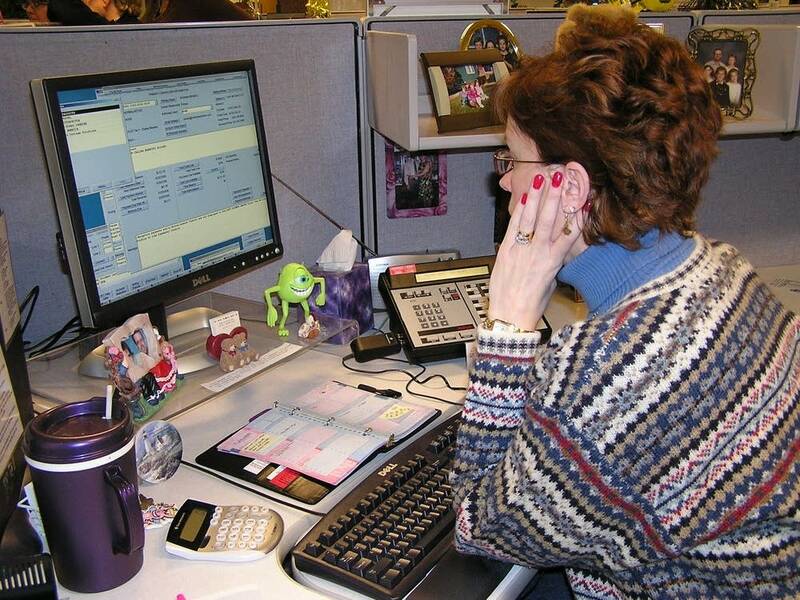 By 2004, there were 26 customer service operations in Sioux Falls involved in credit card processing, insurance claims and telemarketing. Over the two decades following Citibank's arrival, job growth in Sioux Falls ran at nearly double the rate of the Twin Cities. Personal income per capita, a broad measure of prosperity, grew faster in Sioux Falls than in the U.S. as a whole. Sioux Falls' population grew 11 percent in the 1980s and 22 percent in the 1990s, making Sioux Falls the fastest growing city in South Dakota and all of its bordering states. Lawyer Doug Hajek says changes happened as soon as Citibank arrived. "Their demands for all kinds of services were just tremendous. Just over night our postal facility has to deal with million and millions of pieces of mail. Computer suppliers, office stores, furniture companies, paper companies, federal express. There was an unbelievable impact," says Hajek. 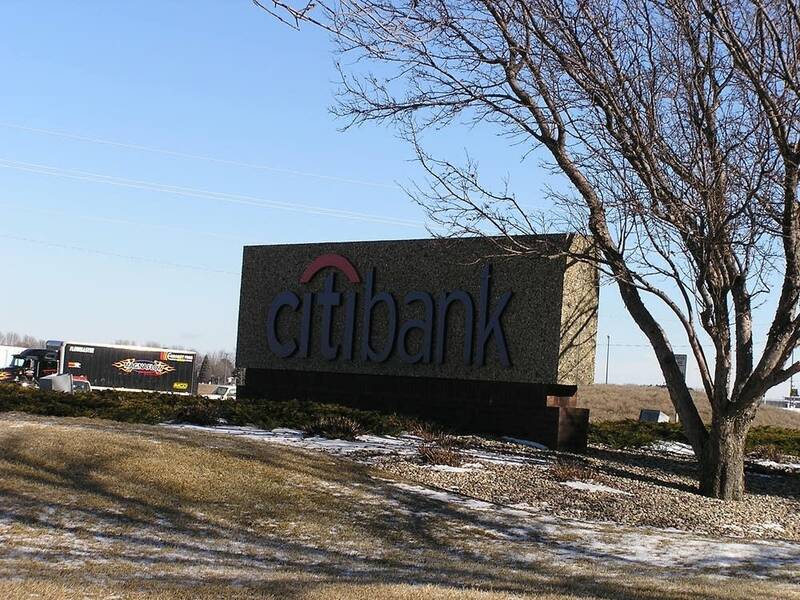 But it's difficult to find a business in Sioux Falls that says it is successful just because Citibank came to town. The owner of one office supply business says stores competed for the business but didn't make a lot of money supplying Citibank because the company was able to command low prices. Now Citibank doesn't even buy supplies locally. And not everyone agrees Citibank's arrival was the main engine behind Sioux Falls' growth. A heart monitor beeps in the emergency room of Avera Heart Hospital, South Dakota's first specialty hospital. The three story building went up on the other end of town from Citibank five years ago. What was once a lone building in the middle of a farm field is now surrounded by new development. Again. University of South Dakota Economics Professor Ralph Brown says the end to the usury limit wasn't the only important change state lawmakers made. 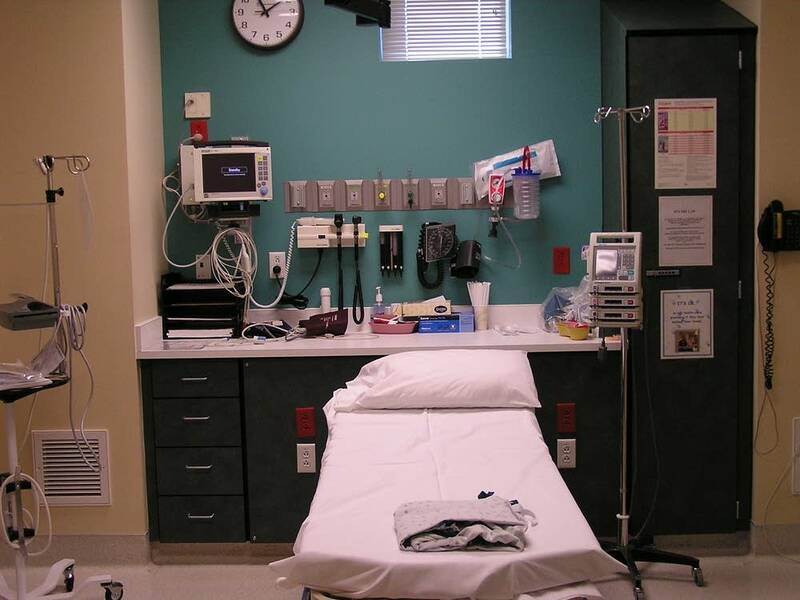 "The other is the decision by the state to have a four-year medical school which led to the expansion of hospitals and health care and that ends up predominately in Sioux Falls," says Brown. "And the thing about those events is the expansion of the service sector and that's where the employment and jobs are," he says. Brown says Sioux Falls prospered by diversifying its economic base, helped by the lack of a personal or corporate income tax. He says Sioux Falls reduced its reliance on manufacturing, an industry long in decline nationally. He says Cities with large manufacturing bases tended to shrink while those concentrated in services grew. Brown says Sioux Falls has grown into a financial hub, a medical hub and a shopping hub for the region. But he believes much of the development that followed Citibank's arrival was spontaneous. Brown cautions that while the service industry is where the jobs are now, it's also an industry that's vulnerable to offshore outsourcing. Still, total employment in Sioux Falls continues to grow. Even the John Morrell meatpacking plant announced an expansion project recently. Cara Hetland has been a reporter for southwestern Minnesota and eastern South Dakota since 1989.